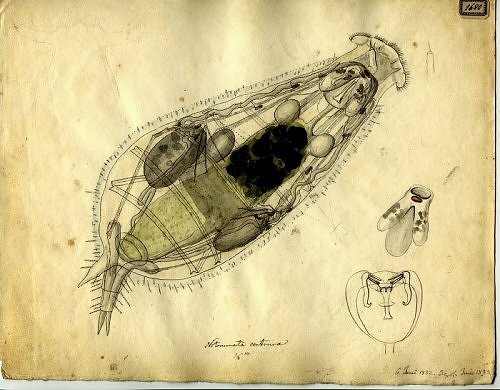 The images Christian Gottfried Ehrenberg made of microscopic organisms in the mid-1800s are both art and ground breaking science. They should be appreciated as both. A massive collection of his specimens, images, and records reside at the Museum für Naturkunde in Berlin. Found via David Orr pointing to The Caledonian Mining Expedition Company. This entry was posted in The Art of Science and tagged ehrenberg, Linkonomicon, microscope. Bookmark the permalink.